Our Spring Meeting will be held on April 1st at 6:15pm at the Riverfront Community Center, 300 Welles Street, Glastonbury. We’ll start the meeting with social time, a picnic type dinner and sign-ups for project work parties. This meeting serves as the “kick off” for sprucing up the gardens and planting gardens and planters. Starting promptly at 7:00 pm there will be a short business meeting followed by our speaker. We are delighted to have Dr. Michael Dietz from UConn Extension. Dr. Dietz will introduce us to, and educate us on, Rain Gardens, what they are and why we need them. Rain water that runs off our built landscape can cause problems in our local streams and reach out to Long Island Sound. Dr. Dietz shares our concern for the local ecosystem and will provide information about how rain gardens can help address our water runoff issues. This meeeting is NOT for members only, so please join us and bring a friend or two. The more the merrier. We look forward to seeing you. Glastonbury Partners in Planting, Inc. 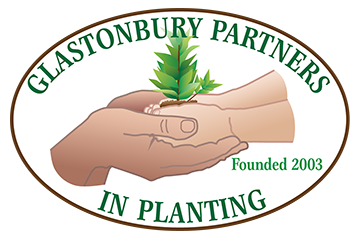 Copyright © 2019 Glastonbury Partners in Planting. Powered by WordPress. Theme: Accelerate by ThemeGrill.